There are professionals out there who ply their trade entirely within city limits but who seek adventure wherever it may call. For them, the winding country road holds the same appeal as the chaotic city street, and an old forgotten two-track is as tempting as a bustling, building-lined boulevard. 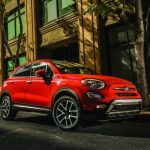 Sophisticated adventurers such as these have long needed a capable yet fashion-conscious vehicle to call their own, and now they have it – the FIAT® 500X Urbana Edition. 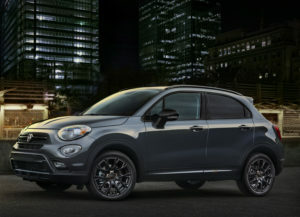 Based on the FIAT 500X Trekking model, the 500X Urbana Edition features Miron black-painted mirror caps, door handles, taillamp surrounds, liftgate bezel, fascias and sill moldings with copper-accented 500X logo. The 18-inch matte black and Miron wheels are also accented with a copper center cap. 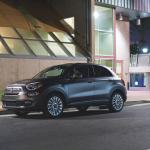 Black side roof rails and dark headlamp surrounds add to the vehicle’s head-turning appearance. 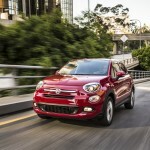 Inside, the FIAT 500X Urbana Edition features unique seats with black Castiglio chevron-patterned fabric and copper embroidered 500 logos, a black textured instrument panel with a copper 500 logo, a black-painted center console and Miron-painted radio and vent bezels. 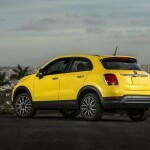 You can see the FIAT 500X Urbana Edition in person when it arrives this fall at your local BusinessLink dealer or FIAT Studio. 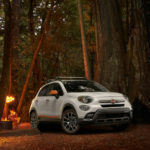 In the meantime, enjoy this video featuring a non-Urbana-Edition 500X in the greatest city for adventure on earth – New York City.